Fairlady Court at London Bridge community is sold out and is not in active development by builder. If you are interested in Fairlady Court at London Bridge or similar new home communities, contact us today! 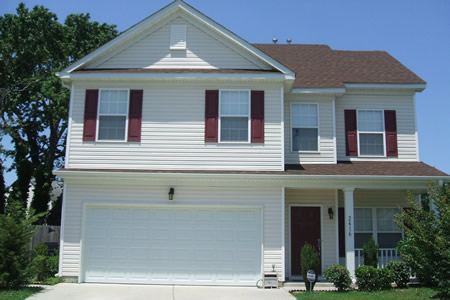 Our agents are very familiar with new and newer construction in Virginia Beach, and can identify resale opportunities in Fairlady Court at London Bridge, as well as builder inventory available in nearby or similar communities in Virginia Beach. To view 6 more pictures, interactive maps and the full, detailed description of the Fairlady Court at London Bridge community, please Login. New construction in Fairlady Court at London Bridge makes it easy to find new homes. Today’s real estate market is flooded with impostors but these houses are the real deal when it comes to value. Within close driving distance to military bases such as Dam Neck, Joint Expeditionary Base Little Creek-Fort Story and Naval Air Station Oceana, this community lends itself to laid back living which personifies what Virginia Beach, VA, is all about. Meeting high standards is priority number one for these real estate developers. Homebuyers can easily find new homes in this welcoming neighborhood. Each of the new construction homes at Fairlady Court at London Bridge may include two-car garage, gas fireplace, master bathroom Jacuzzi tub, two-zone heating and cooling system, privacy fence and more. The transitional architecture of these houses appeals to the buyer of today. It’s always a day at the beach in this scenic region of Virginia. Living in these new construction homes puts residents into the middle of the action. Everywhere you go there is a piece of real estate designed with fun in mind. Ocean Breeze Waterpark and Motor World are for young and young at heart. Owls Creek Tennis Center provides modern facilities for those working on their serve. First Landing State Park lets visitors camp, hike, fish, picnic, swim and more on their extensive bayfront site on Cape Henry. Libraries, recreation centers, shops and theaters are also nearby for keeping busy. These homes for sale in Fairlady Court at London Bridge are near just about everything. Come check out this area of Hampton Roads to appreciate the difference. Downtown amenities with uptown style is what homebuyers get in this new construction. A real estate purchase is nothing to take lightly. Imagine yourself in each of the homes for sale you visit. If they don’t feel right, come try Fairlady Court at London Bridge on for size. It just may be the perfect fit. Send me more information about communities similar to Fairlady Court at London Bridge. Our agents gladly offer FREE property tours of Fairlady Court at London Bridge, Virginia Beach and homebuyer consultations to all serious buyers.